Your Head Start to Successful New Year’s Resolutions! The holiday season is upon us, and hopefully that means spending time with loved ones and acknowledging the joy they bring to your life. It’s a time to generously give love and support to others and receive the same in return. Sometimes, however, the season gets conflated with obligations and stressors as well. It’s a busy time of year, and even when we’re scheduled to do wonderful things, like get together with friends and family, that can mean disruption to your typical routine. The combination of a disrupted and impacted scheduled, a little additional stress and an abundance of sugary foods that you’re not normally surrounded by can lead to poor health habits. Too often people throw in the towel on their health and fitness goals in the last month of the year. 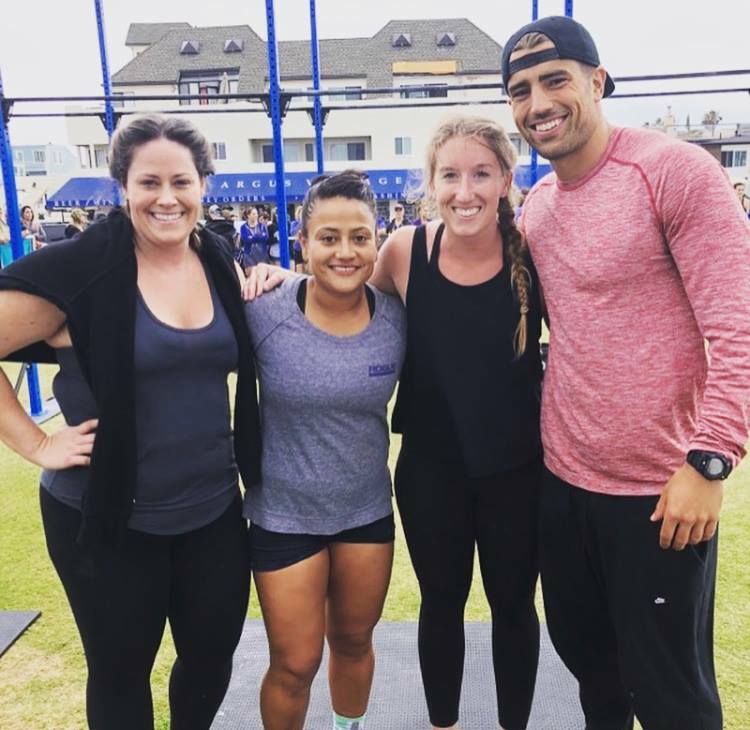 They rationalize there will be too much temptation, too much irregularity in their schedule, too much travel, etc…to really stay on track with their fitness goals. Instead they focus on New Year’s resolutions to right the ship once the holidays have passed. I want to encourage you all to get a head start on your fitness-related New Year’s resolutions and provide a few simple suggestions to help you navigate the holiday health landmines. One of the most effective things you can do in the final month of the year is set a micro-goal to keep you laser focused. This should be a goal that you can accomplish relatively easily in the next 30 days – it should NOT be a massive achievement, just something to keep you on track. For example, “I will make it to the gym for a workout at least 15 times between now and January 1.” Don’t be tempted to shoot for the stars, you can save that for January 1…for now, just pick one goal (or two at most) that you know you can achieve. Achieving a reasonable goal is important for building momentum as you approach January. You should start thinking about your larger overarching goals though so that you have plenty of time to reflect and consider what is most important to you as you head into the annual New Year’s goal setting process. 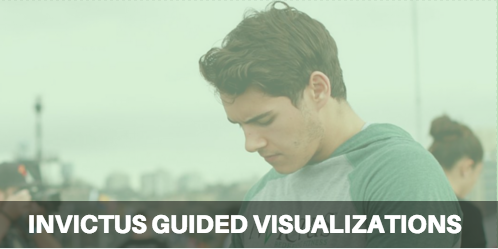 I strongly suggest that you download our free Invictus Goal Setting Workbook. In this short eBook, you will be coached through the process of effective goal setting to ensure that you will be successful in all of your pursuits. If you need any help with this process, you can always reach out to one of our coaches! If you know that you will be participating in some sort of fitness challenge, chances are that you’ll be more motivated to get your workouts in and stick to your nutrition plan. A fun challenge with friends helps to keep you accountable to your goals…and provides good fodder for banter and bragging rights amongst your group of friends. This is one of the reasons we have always hosted a free online competition the week before Christmas. It’s a chance for all the members of our community to participate in a challenging, yet fun, test of fitness. We get some awesome sponsors to donate prizes and we keep it free to everyone interested in having some fun testing themselves to see where they stack up after nearly a year of training. 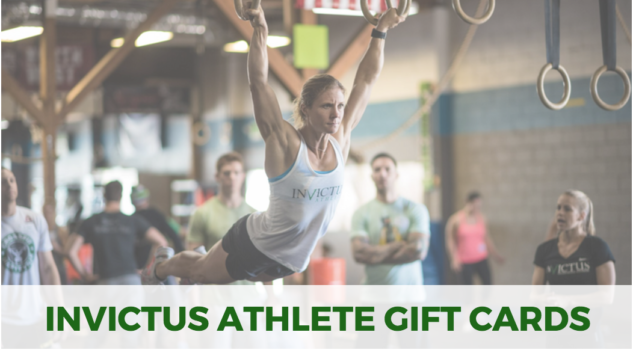 Keep your eyes open for information about our 7th Annual Invictus Athlete Online Competition! Your health and fitness shouldn’t be “all or nothing”…especially during the holidays. This is a time to reinvigorate, and there will a lot of distractions, so consider giving yourself some leeway to be less than perfect. Some of the best advice I received as a young athlete was to acknowledge when I didn’t want to do something – for example, “I am too tired to go workout today” or “I really want to eat that pie, even though I know it won’t help me achieve my goals.” Once you recognize that feeling, do the “right thing” 80% of the time. In other words, 4/5 times that you don’t want to do something, force yourself to do it. When you know that you don’t have to make the right choice every time, you’ll feel better about deferring it until the time it will be most meaningful. I hope these three simple pieces of advice are helpful, because the number one thing on my holiday wish list is to see you all continue to thrive and exceed your own expectations! P.S. – Keep your eye out for an exciting new offering from Invictus, which may be timely if you’ve struggled with your nutrition through the holiday season. Invictus individualized, goal-based nutrition coaching is launching soon and could be the perfect gift for someone you care about – or maybe even yourself. Click here to find out about this first!